Charles Augustin De Coulomb – French military engineer and physicist. A French physicist best known for the formulation of Coulomb’s law, which states that the force between two electrical charges is proportional to the product of the charges and inversely proportional to the square of the distance between them, Charles-Augustin De Coulomb was born on 14 June 1736, in Angoulême, Angoumois county, France, to Henry Coulomb, an inspector of the royal demesne originally from Montpellier, and Catherine Bajet. He is best known as the eponymous discoverer of what is now called Coulomb’s law, the description of the electrostatic force of attraction and repulsion, though he also did important work on friction. The coulomb, SI unit of electric charge, was named after him. Coulomb’s law was his discoveries and studies during the late 18th century that formed the foundation for the development of the theory of electromagnetism later on. He made equally important contributions in the field of friction studies, torsions, applied mechanics, and magnetism. Born into a wealthy family, he received a good education and was a very studious and bright student. De Coulomb graduated from the Royal Engineering School of Mézières (École Royale du génie de Mézières) and held a number of engineering jobs over the course of his professional life. He was also interested in research and began to write papers on applied mechanics. Alongside his engineering career, he continued his own work on friction and magnetism. Once he was asked to report on the feasibility of a navigable canal. Through his research he concluded that the proposed plan was too expensive this angered the French bureaucracy and he was penalized. Knowing that he was right, he felt disappointed with the French government and decided to invest his efforts in the study of physics instead. An eminent French physicist, Charles-Augustin De Coulomb (/ˈkuːlɒm, -loʊm, kuːˈlɒm, -ˈloʊm/; French: kulɔ̃), was born on 14 June 1736, in Angouleme, France, to aristocratic parents. His father, Henri Coulomb worked as a lawyer, while his mother Catherine Bajet hailed from a well-established family. Coulomb was baptized at the parish church of St. André. The family moved to Paris early in his childhood, and he studied at Collège Mazarin. His studies included philosophy, language, and literature. He also received a good education in mathematics, astronomy, chemistry, and botany. When his father suffered a financial setback, he was forced to leave Paris and went to Montpellier. Coulomb submitted his first publication to the Society of Sciences in Montpellier during this time. He went back to Paris and passed the exams for the École Royale du génie de Mézières in 1760. He graduated with the rank of lieutenant en premier in the Corps du Génie in 1761. Charles-Augustin De Coulomb started a relationship with Louise Francoise LeProust Desormeaux with whom he had two sons. He married her in 1802 after the birth of their second son. 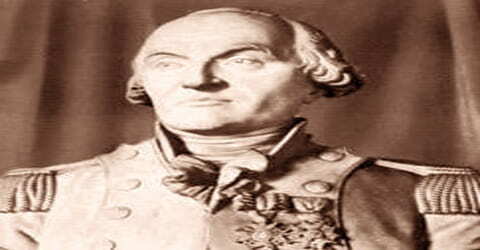 Coulomb worked in the West Indies as a military engineer for almost nine years. When he came back to France, he was quite ill. During the French Revolution, Coulomb lived in his estate at Blois, where he mostly carried out scientific research. He was made an inspector of public instruction in 1802. 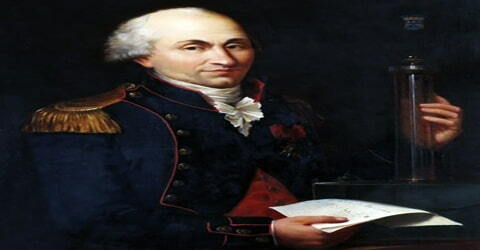 Charles-Augustin De Coulomb graduated in 1761 and joined the French army as an engineer in the rank of lieutenant. Over the next twenty years, he was posted to a variety of locations where he was involved in engineering: structural, fortifications, soil mechanics, as well as other fields of engineering. His first posting was to Brest but in February 1764 he was sent to Martinique, in the West Indies, where he was put in charge of building the new Fort Bourbon and this task occupied him until June 1772. His health suffered setbacks during the three years he spent in Martinique that would affect him for the rest of his life. In 1773, Coulomb presented his first work to the Académie des Sciences in Paris. His first work titled, ‘Sur une application des règles, de maximis et minimis à quelque problèmes de statique, relatifs à l’architecture’, was written to determine the influence of friction and cohesion in some statistical problems. His use of calculus to overcome various discrepancies in engineering issues highly impressed the Académie des Sciences and thus, he was appointed as the Bossut’s correspondent on 6 July 1774. In 1777, while posted at Cherbourg, Coulomb wrote and submitted his most famous memoir on the workings of a magnetic compass for the Grand Prix of the Académie des Sciences. The paper won him a share of the Grand Prix prize money and also featured his earliest work on the torsion balance. In 1779 Coulomb was sent to Rochefort to collaborate with the Marquis de Montalembert in constructing a fort made entirely from wood near Île-d’Aix. During his period at Rochefort, Coulomb carried on his research into mechanics, in particular using the shipyards in Rochefort as laboratories for his experiments. Upon his return to France, with the rank of Captain, he was employed at La Rochelle, the Isle of Aix and Cherbourg. He discovered first an inverse relationship of the force between electric charges and the square of its distance and then the same relationship between magnetic poles. Later these relationships were named after him as Coulomb’s law. Based on these experiments, he wrote the paper, ‘Theorie des Machines Simples (“Theory of Simple Machines”), in 1781, for which he won the Grand Prix of the Académie des Sciences. In 1781, his life took a turn for the better and he was elected by the Académie des Sciences as the member of its mechanics section. He relocated to Paris and became an engineering consultant and devoted the rest of his life to physics. He published a paper on the elasticity of wires under twisting stress in 1784 which led to the study of the torsion balance. This study would eventually be used to determine the density of earth and also for measuring the forces of frictional electricity and magnetism. Charles-Augustin de Coulomb formulated his law as a consequence of his efforts to study the law of electrical repulsions put forward by English scientist Joseph Priestley. In the process, he devised a sensitive apparatus to evaluate the electrical forces related to Priestley’s law. Coulomb issued out his theories in 1785-89. He also developed the inverse square law of attraction and repulsion of unlike and like magnetic poles. This laid out the foundation for the mathematical theory of magnetic forces formulated by French mathematician Siméon-Denis Poisson. Coulomb extensively worked on the friction of machinery, the elasticity of metal and silk fibers and windmills. The coulomb, SI unit of electric charge, was named after him. The French Revolution began in 1789 when Coulomb was deeply involved with his scientific research. Many institutions were reorganized and abolished. 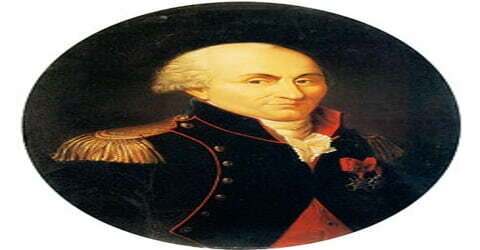 Uncomfortable with the situation, Coulomb retired from Corps du Génie in 1791 and in 1793, he moved to his house near Blois, where continued his scientific research. Académie des Sciences was abolished in 1793 and was replaced by the Institut de France. In December 1795, Coulomb once again returned to Paris, as he was elected as the member of the Institut de France. Coulomb was recalled to Paris for a time in order to take part in the new determination of weights and measures, which had been decreed by the Revolutionary government. He became one of the first members of the French National Institute and was appointed an inspector of public instruction in 1802. He largely remained engrossed in education-related service between 1802 and 1806, while he served at the post of inspector general of public instruction. Coulomb’s memoir on magnetic compasses earned him a shared first prize in the Paris Académie des Sciences competition in 1777. In 1781, Charles-Augustin de Coulomb won the first prize at the Académie des Sciences for his work, ‘Theorie des Machines Simples (“Theory of Simple Machines”)’ and was elected to the Academie as adjoint mécanicien. Charles-Augustin de Coulomb died on August 23, 1806, in Paris, France. He was 70 years old. Coulomb is best known for developing Coulomb’s law which he first published in 1785. This law which described the electrostatic interaction between electrically charged particles led to the development of the theory of electromagnetism. A lunar feature, ‘Crater Coulomb’ is named after him to honor his contributions to the world.